Kunlin creation is influenced mainly by situationism and psychogeography. Materials collected from walking in the urban areas, suburbs, and other specific spaces, and combining traditional cultures and techniques, popular films and novels, word-of-mouth fairy tales, and daily necessities as creative materials are incorporated into multimedia paintings, moving images, and installation. Kunlin goal is to discuss how landscape and geopolitics respond to the formation and identification of a national identity. Kunlin obtained an MFA in studio art at San Francisco art institute in 2016. He was a Graduate Fellow and finalist of Tournesol Award at the Headlands center for the arts (Sausalito, CA)for a full-year residency fellowship program and residency program at Otis College of Art and Design. (Los Angeles, CA). ARCE, (Steuben, WI). Ox-Bow School of Art (Saugatuck, MI), MASS MoCA (Massachusetts Museum of Contemporary Art), North Adams, MA . Elsewhere Museum, (Greensboro, NC). Kunlin has shown his work at Chinese Culture Center of San Francisco, Marin Museum of Contemporary Art, Headlands Center for the Arts, Arts Benicia, Kearny street workshop, Arc Gallery, Fort Mason Center, Andrea Schwartz Gallery, Embark Gallery and (Solo Show)Art Market San Francisco Art Fair and Seattle Art Fair. 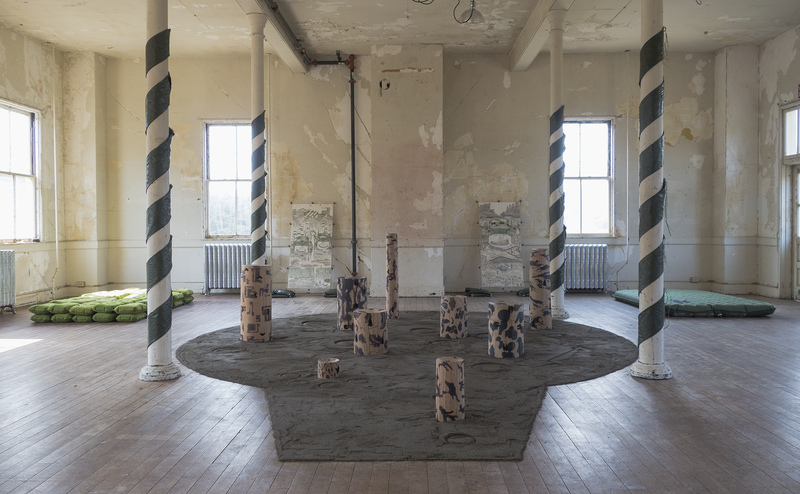 The series of “Every Bush and Tree Looks like an Enemy” （草木皆兵） by artist Kunlin He, are completed during his residency in Headlands Center for the Arts. The name of the title is a Chinese idiom, which describes the fear of the fleeting side caused by mistaking the bushes and trees as enemy soldier in a famous battle in Chinese history. The changing of local landscape caused by establishing the 16’’ caliber cannons, which were built for the purpose of defending the fictional large warships from Japan during the World War II in Marin Headlands, is applied as the background for the work. 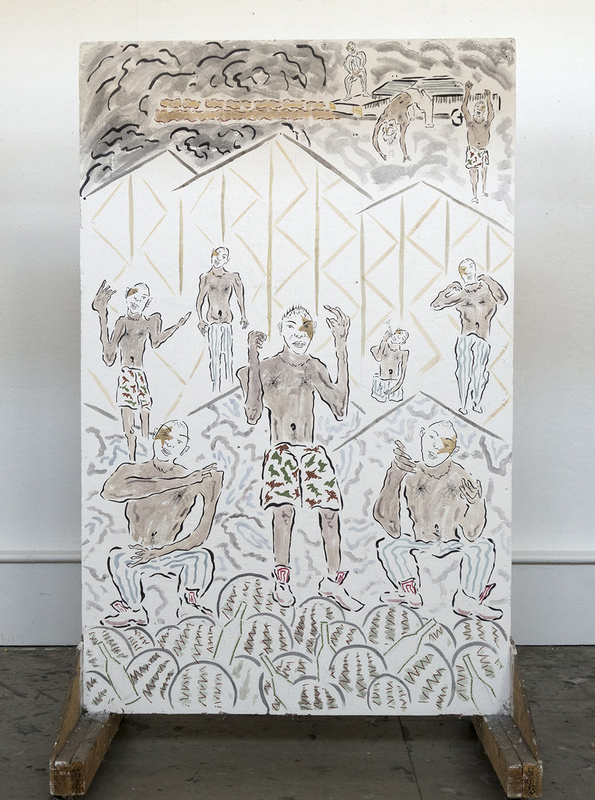 Kunlin combines his understanding of the national community and the famous Chinese idiom then applies to his work, which reflects the collective fear arising from global nationalism, through his own creative language of painting, video, and installation.